London Tea Company has created a deliciously fruity tea that’s complimented with a touch of heat in the form of chillies. This tea blends together raspberries, apple, hibiscus and blackberry leaves together for a truly luxurious fusion that relies solely on good, natural flavourings. There are no artificial flavourings and colours used in these bags; just natural goodness. Soak in boiling water and unleash an invigorating scent that compliments the spectacular taste and feel of this tea. 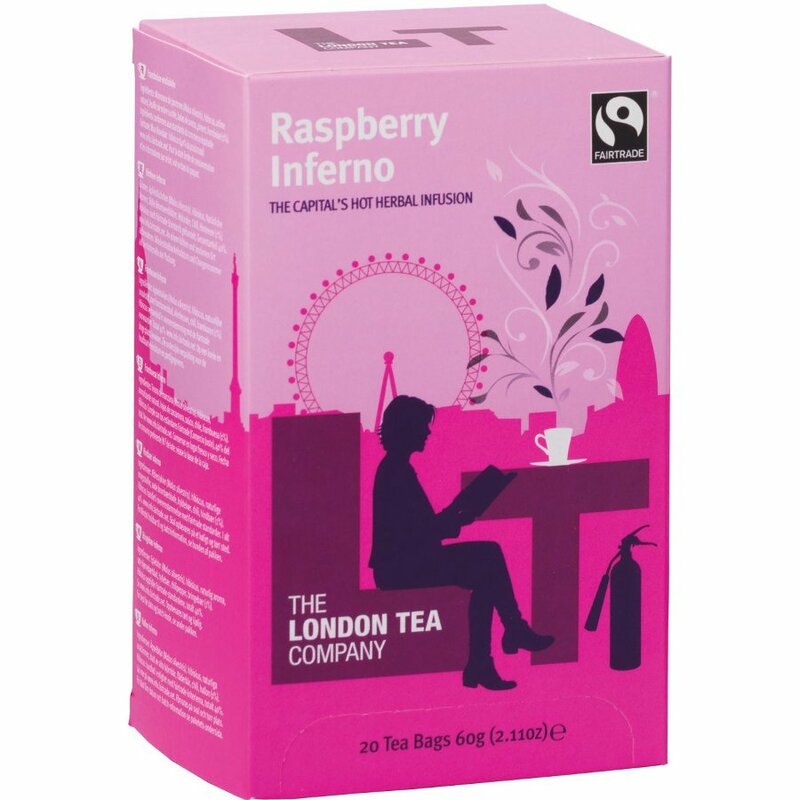 The London Tea Company Fairtrade Raspberry Inferno Tea - 20 bags product ethics are indicated below. To learn more about these product ethics and to see related products, follow the links below. This has a delicious fruity flavour (unlike many other fruit teas which smell better than they taste). The chilli adds a little warmth but is very mild - my husband loves the tea too but says he doesn't notice the chilli - so don't let the name "inferno" put you off! 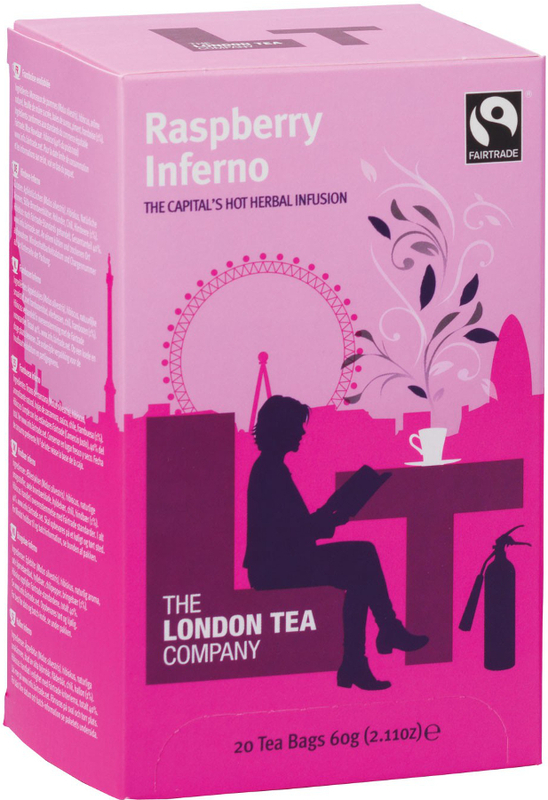 There are currently no questions to display about London Tea Company Fairtrade Raspberry Inferno Tea - 20 bags.